Home Blog Can a Veteran On VA Benefits Get the Lasso MSA? The brand-new Lasso Medical Savings Account (MSA) is gaining a ton of traction, which means we're starting to get more in-depth questions about the product. Are veterans who utilize VA benefits eligible for the Lasso MSA? The short answer is no. Veterans on VA benefits are not eligible for the Lasso MSA. VA Benefits are sponsored by the government, which just means the government helps fund healthcare for a person who served in the active military service and who was discharged or released under conditions other than dishonorable. The Lasso MSA is also sponsored by the government – CMS provides money to the insurance company, and the insurance company gives the policyholder a deposit to use towards healthcare expenses. Since the VA and the MSA are both government sponsored healthcare programs, an individual can't have both at the same time. For lack of a better term, this would basically be double-dipping. Why does that matter? Well, CMS says that it diminishes the entire incentive behind the MSA plan design, which is to encourage consumers to become better healthcare shoppers. 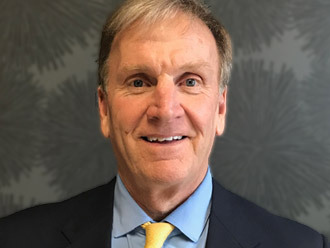 Jim Handlan, President of Lasso Healthcare, explains that if you have a policy that is specific, catastrophic, or direct money payback to the individual such as a hospital indemnity, critical illness, or disease-specific plan, you can still get the MSA. However, if you have a general medical benefit policy that would cover below the MSA deductible, it would not be allowed. Mr. Handlan continues to explain that if you have a VA card with active benefits, it covers both medical and pharmacy expenses, and therefore, CMS won't allow you to enroll in the MSA. "If you can find any examples where there is truly a pharmacy-only VA policy, we would entertain allowing that in parallel with the MSA. To date, no one has been able to provide such a policy," he says. Even though veterans utilizing VA benefits don't technically need a supplemental healthcare, there are certainly reasons why they'd opt for it. They don't like the VA facilities. They don't live close to a VA facility. Their local VA facility may not cover all health services. They are enrolled in a lower-priority VA group and could potentially lose their benefits. If they make too much money, they're not eligible for free VA benefits. These are all reasons why a veteran might consider adding on a Medicare Supplement. Even though they can get by without one, sometimes the Medigap premium is worth it to get rid of the hassles. "About half of my clients are OK with driving an hour and 15 minutes to go to our closest VA clinic since it's free. They also like getting their prescriptions for free. Yes, it's an inconvenience, but they're OK with it. The other half don't want to deal with the inconvenience of having to see a VA doctor. In order to get the prescription benefit, you have to see a VA doctor each year to renew the scripts. In our area, it's just not convenient. Those people buy a Medicare Supplement so they can see a doctor here in town, and when their prescriptions are generics anyway, they're only a couple bucks. Finally, some people make too much money, so they aren't eligible for VA benefits. It's terrible, because these are people who have served our country and deserve VA benefits, but it happens." It's worth explaining these things to your veteran clients. For some, the VA benefits will fit the bill just fine, but for others, a Medicare Supplement is a huge relief. Beyond the potential Medicare Supplement, veterans can still use guidance when it comes to life insurance and investments. Give back to our heroes by making sure they're fully taken care of in all aspects of their finances. 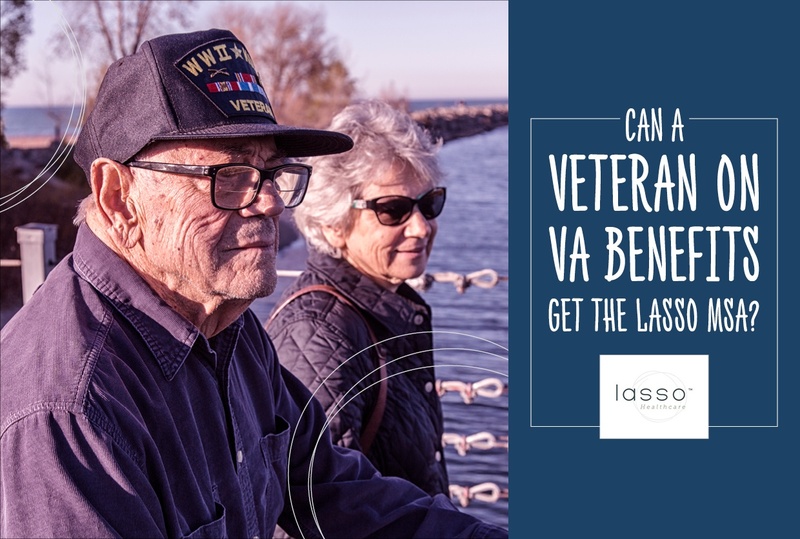 While you won't be able to enroll a veteran with VA benefits into the Lasso MSA, there are a lot of other individuals who would greatly benefit from it. If you have a client who's only going to the doctor for semi-annual or annual checkups, and they're paying $1500 per year towards a Medicare Supplement premium, they could do much better with the Lasso MSA. If you're looking for more information on the ideal client profile for the MSA product, be sure to read this in-depth article. You can then use these free Lasso MSA marketing materials to help you present and prospect. Veterans deserve our genuine help, and we hope this information can help you fill the needs of the men and women who have sacrificed their lives for our freedom. If you're a veteran, all of us at New Horizons deeply thank you for your service.